What better for Mother’s Day than flowers that she can eat! 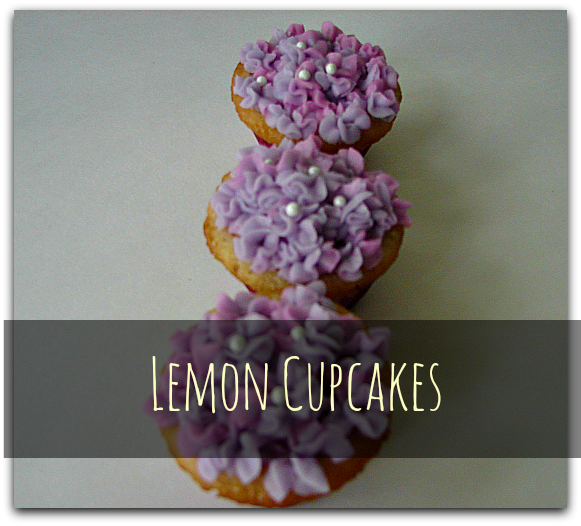 Perfect for spring this Lemon cupcake pairs well with vanilla buttercream. A perfect flavor for spring. Preheat oven to 350 degrees, and line a clean cupcake pan with cupcake liners. In a medium bowl whisk flour, salt and baking powder and set aside. In a mixer blend butter and sugar until fluffy, then add vanilla, lemon, and eggs one at a time. Alternate dry (flour) and wet (milk) ingredients starting and ending with dry into mixer scraping sides occasionally. Scoop batter into a lined cupcake pan and bake at 350 degrees for about 20-25 minutes. When a toothpick inserted comes out clean, cupcakes are done. Try to have eggs, milk and butter at room temperature before mixing. In a mixer blend butter and sugar until fluffy, then add vanilla, lemon and eggs one at a time. Alternate dry (flour) and wet (milk) ingredients starting and ending with dry into mixer scraping sides occasionally. In a mixer blend butter, 1/4 cup milk, vanilla, almond and 1 cup of sugar. Continue to blend and add confectioners sugar one cup at a time until frosting is at desired consistency. Once frosting is at desired consistency, add small amount of food coloring ( light purple or pink to mixer and blend well. Remove half of frosting and set aside. Add more of the same color to the frosting for the darker shade and set aside. In a frosting bag, one side place one color and on the other place the other. (This may be messy, but it will look good even if mixed.) When you squeeze it out it will blend and look like flowers. Wait until cupcakes are completely cooled before frosting. Using a star tip, squeeze out flowers one at at time and place over surface of cupcake, overlapping in a few areas. When finished top with white sprinkles.